For those who have recently suffered Scottsdale auto accident injuries we strongly recommend a chiropractic examination to determine if there are any underlying injuries that may cause additional pain if left untreated. Did you know that even auto accidents at speeds as low as eight miles per hour can cause whiplash and other profound trauma to the musculoskeletal system? Many Scottsdale auto accident injury victims may not experience pain until weeks or even months after the accident. However, damage to your musculoskeletal system can occur immediately. If left untreated, the body tries to heal itself following the Scottsdale auto accident injury, and scar tissue may build up as a result, which only exacerbates the pain. The faster you seek treatment, the faster we can begin to help your body heal itself correctly so that is doesn't build up scar tissue. Prescription drugs and painkillers may temporarily relieve neck pain, whiplash and headaches from an auto accident injury, but they do not correct the underlying misalignment. In fact, Scottsdale auto injury patients who rely on prescription painkillers not only risk becoming dependent on these drugs, these medications can fool you into thinking your injury is getting better, when in fact, scar tissue is building up and the pain is actually getting worse. Chiropractic adjustment is a safe, conservative and effective treatment for restoring alignment to the spine, relieving pain and preventing further injury. We also will prescribe corrective exercises to help restore a full range of movement and flexibility to your neck. Are You an Auto Accident Injury Victim in the Scottsdale, Tempe, Mesa, Chandler, Paradise Valley, Fountain Hills, and Phoenix areas? Scottsdale auto accident injury victims should seek immediate treatment from a chiropractor that provides the utmost care and comfort for immediate pain relief from such injuries as whiplash, neck pain, back pain and headaches. By seeking chiropractic care immediately following an accident, chiropractors can help prevent further injuries from possibly occurring, as well as allowing a full assessment to be performed to evaluate what plan of treatment is best for each patient to ensure a full and successful recovery. 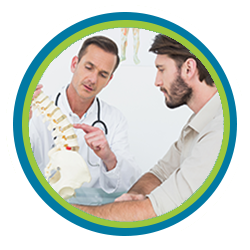 As your Scottsdale chiropractor, we often evaluate patients whose Scottsdale auto accident injuries continue to flare up well past the occurrence of their accident. However, the sooner therapy is sought, the faster the healing process will proceed. We assist those suffering from back pain inScottsdale and with our office location, we also are able to accommodate patients in the Tempe, Mesa, Chandler, Paradise Valley, Fountain Hills, Phoenix, and other local areas to treat a full range of injuries that may arise from your auto accident injury. Dr. Daniel Secrest, DC provides his patients options to a wide array of treatments available in order to achieve the quickest and most efficient recovery and healing. 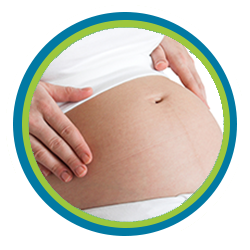 Our office uses the most modern tools in chiropractic technology, including an advanced, Low-Force, Applied Kinesiology Based Technique, called Koren Specific Technique (KST), and strives to provide the most comfortable and gentlest of experiences to our patients. Your full body will be adjusted standing, sitting and moving in your position of compromise to quickly relieve the pain and start the healing process. We will seek to eliminate the mental trauma that has become trapped in your physical body, thus releasing the stress incurred by the accident. Chiropractors strive to maintain that each treatment plan results in a full recovery when adhered to correctly. This includes everything from the original assessment to the schedule of treatments and therapy, as well as any follow-up care and rehabilitation exercises which prove helpful to the patient's health. "I want to be your Chiropractor"
Secrest Family Chiropractic is featured in www.YourLegalGuide.com. A consumer resource which offers information on motorcycle accidents and how to find an attorney for DUI arrests, bail, or family law.